Melting makeup is NEVER a good thing. So you've been skipping foundation because it doesn't last the whole day anymore, huh? That's because you probably aren't setting your makeup properly, according to makeup artist Joyce De Dios-Ignacio. And we're not talking about applying powder. Joyce suggests spraying facial mist after sealing in your foundation with powder (she likes Sephora's Dewy Finish Setting Spray, but you can also go for Juice Beauty's Hydrating Mist, P1,375, available at Beauty Bar). "Facial mist can hold your base and will give you a dewy sheen that will stay all day." 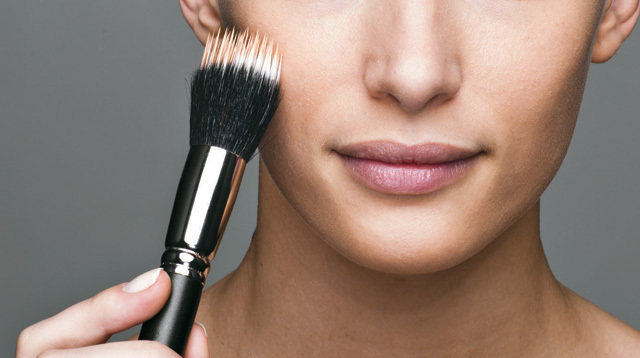 That, and using facial mist can lessen the creases that form when powder seeps through your skin's fine lines. Another reason why your foundation smears halfway through the day? You're probably skipping the most important summer skincare staples: moisturizer and primer or a mattifying pore refiner. Makeup needs something to adhere to. So your ultra-hydrating moisturizer + primer/pore refiner = solid makeup base. While foundation was made to give you full-on coverage, you don't have to apply it generously this season. Pick areas where where light would usually hit—forehead, cheekbones, the bridge of the nose, and your chin—and blend. Trust us, the less makeup you wear this season, the better.